International Conference on Emerging Trends for Sustainable Development and Human Capacity Building in the Third World Nations (ICETSDHCB 2014) - 28th to 31st May 2014 , Legon, Accra, Ghana. In the last few years, the concept of rural sustainable development and human capacity building attracts many academics, politicians, and community activist around the world to take part in it. This engagement has stimulated a great deal of research and experimentation in this field that varies widely in its content and practice. It is a timely topic where scholars and practitioners in the Third World Nations can contribute significantly to the understanding of one or more contemporary issues as well as learn from numerous other colleagues. The ICETSDHCB 2014 aims to bring together academics and professionals to share their ideas and recent findings on all aspects of Emerging Trends for Sustainable Development and Human Capacity Building in the Third World Nations. The conference will discuss relevant research topics in order to provide a broad vision on sustainable development of agricultural sector as a vital part of the rural economy, with emphasis on food security, environmental conservation, resources and economics management, and alternate renewable energy sources as well as oil and gas. The conference participants are expected to bring back new ideas to enhance the sustainable rural development in their local areas, in their countries. The conference will open up both new debates and research agendas in the field of International Studies while advancing new methodologies and paradigms for a better interpretation of the current and future sustaining development and human capacity building in all sphere of life in the Third World Nations. 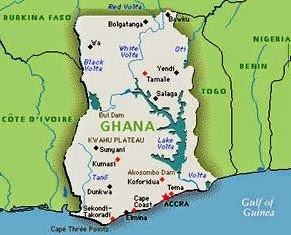 Last but not least the conference is organized by SRI in Ghana. The venue is a very important historical and cultural center for Ghana. It is surrounded by rolling green hills and has a wide range of attractions. The vicinity and surroundings of the town may only be matched by the history and beauty of the country as a whole. Attending the conference opens the possibility to learn and enjoy the stay at the same time. This is a wonderful opportunity to open up our academia to the world by hosting the largest conference ever to take place in Ghana.